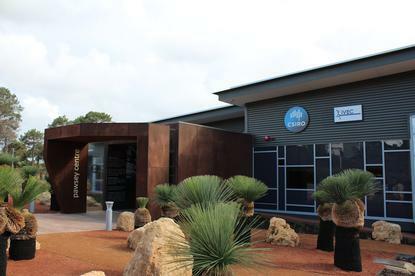 The Pawsey Centre at the WA Technology Park in Kensington, Western Australia will be officially opened on Friday. The centre hosts new supercomputers and employs experts who are supporting the Square Kilometre Array (SKA) pathfinder research, geosciences and other high-end science initiatives. The Cray XC30 supercomputer in the centre - dubbed Magnus - comprises two compute cabinets with 52 compute blades, and four nodes per blade. Each node supports two 8-core Intel Sandy Bridge Xeon E5-2670 processors running at 2.6GHz for a total of 3328 cores which provide around 69 teraflops of computing power.